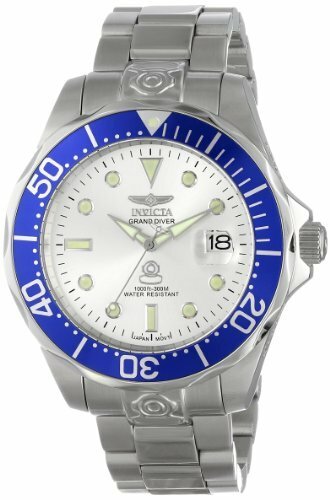 Invicta 22035 Grand Diver chronograph men's dive watch features a 47mm wide and 14mm thick solid stainless steel case with a unidirectional rotating black accented silver tone bezel and textured push-pull crown with function pushers. 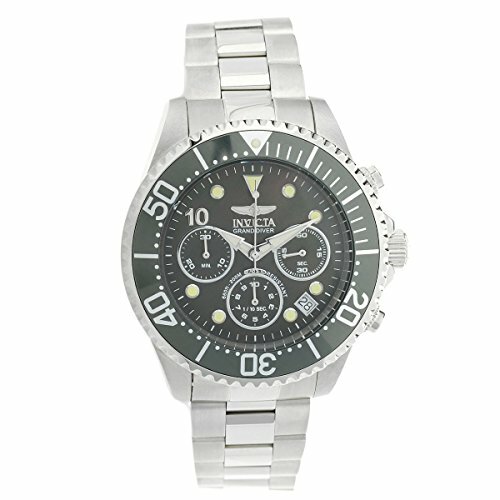 Invicta 22035 is powered by an accurate Chinese ISA 8371D quartz chronograph movement. 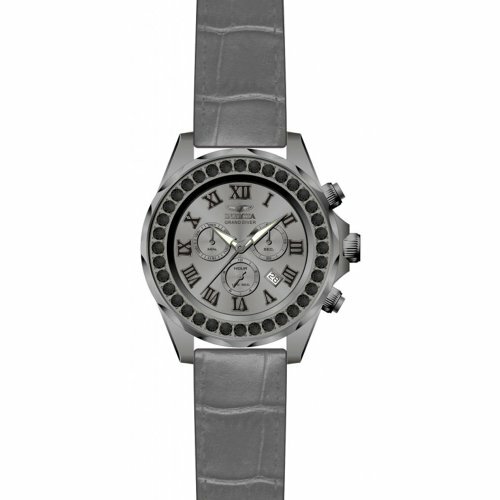 This stylish watch also features a black mother of pearl dial with green accents silver tone luminous hands and hour markers along with the chronograph and date display functions, scratch resistant mineral crystal and water resistant to 200 meters. 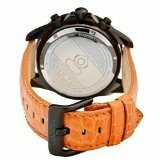 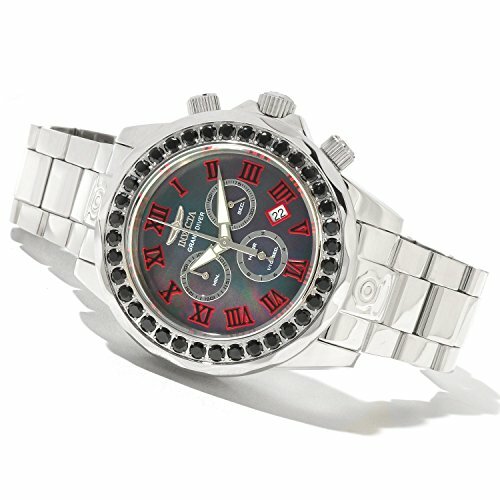 Invicta 22035 is equipped with a 22mm wide solid stainless steel bracelet with a fold over safety lock clasp. 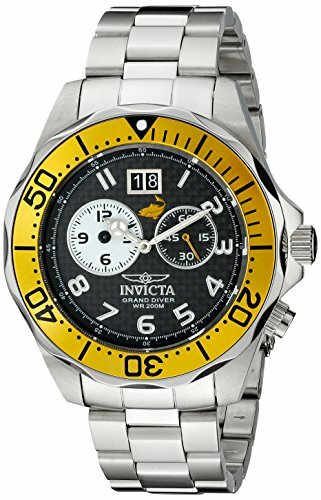 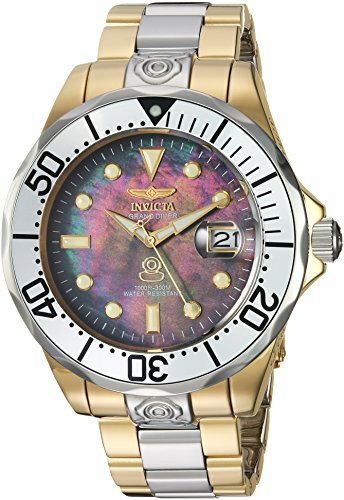 Invicta 22035 men's Grand Diver black MOP dial stainless steel bracelet chronograph dive watch is brand new and comes in an original Invicta gift box and is backed by a 5 year store limited warranty.